Do you run your business outside Poland? Be invited to cooperate with us. We implement campaigns in 16 markets. We can be your partner coordinating the campaign in the region. CAFE Communication Affilite Network (CAN). CAN is a chain of non-network, local enterprises dealing with broadly-defined marketing. 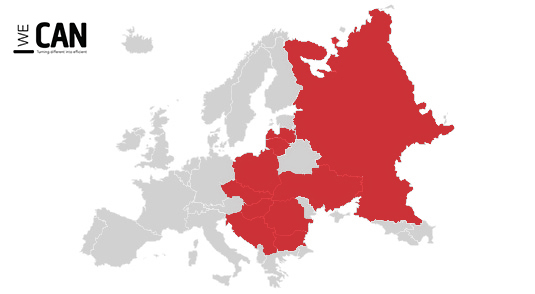 The group operates in 16 markets of Central and Eastern Europe offering complementary services through companies specialised in particular areas. The group’s scope of business is very broad – it ranges from strategy consulting and integrated communication, through media planning and purchase, creation, PR, organization of events and sales support, to video productions, mobile marketing, CSR and others. Single contract. 16 markets. It can’t be simpler!